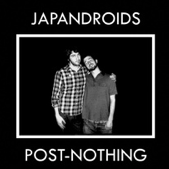 Japandroids have 26 officially released songs and one volume setting: loud. The Canadian twosome plays hard, plays fast, and makes a hell of a lot more noise than you would expect from a guitar-drums duo. With their second full-length due out June 5 and riding a sizeable wave of SXSW hype, the band seems to finally be creeping into the consciousness of the music-listening public, despite their rough edges. This is great news if you’re a fan of earnest music that doesn’t carry an ounce of irony (I am). They aren’t incredibly cool, they aren’t at all polished, but they are real. More music. The Band’s Levon Helm died on Thursday after a long battle with throat cancer. In 1976, the Band held their “last concert” before breaking up at the Winterland Ballroom in San Francisco.